The TEF Recycling Drive has been rescheduled for Saturday, October 27. The event will be held in front of the THS Gymnasium/Unit Office. Following is a link to a list of items and accepted and those not accepted in past years. Please pay close attention that many older model TV's will be assessed a charge for recycling by the company. No items may be dropped off prior to the event. 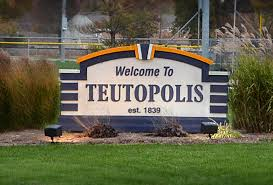 The service is provided by the Teutopolis Educational Foundation. Donations will be accepted the day of the event.